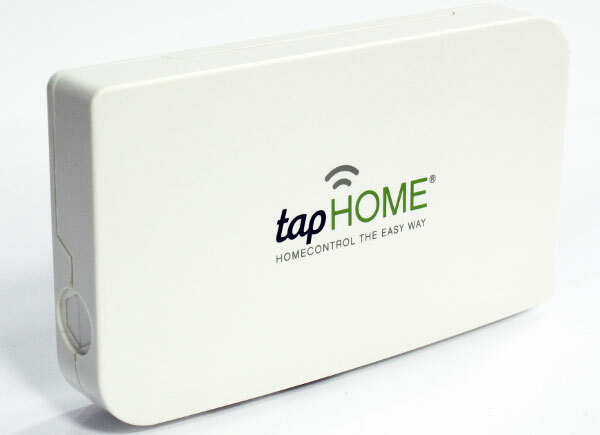 German manufacturer tapHome has release a new home automation app for apple iOS devices based on Z-wave wireless technology. The app is free however, its part of a home automation kit, which features the tapHome’s EASYGate base controller, EASYPlug and the EASYPlugDim dimmer. The whole package can be configured to be hub of your home automation with the convenience of being controllable via your smartphone. According to tapHOME, it takes only a few minutes to setup the starter pack. The EASYGate is automatically recognised and the user simply connects the EASYPlug or EASYPlugDim to any desired socket and integrates it into the network using the learning mode. 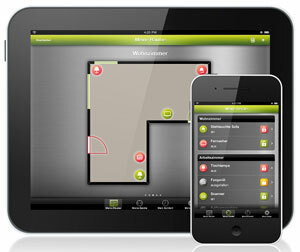 The Tablet tapHOME app allows you to draw and define the outline of each room in your home – including doors and windows. All the connected components are then placed in this template as icons so that the devices can be controlled easily and intuitively. By just tapping on the desired icon on the smartphone screen turns the corresponding device on or off or dim. tapHOME can be configure with pre-programme settings, which you can call up depending on what you are doing, i.e having dinner or relaxing around your home entertainment system. It features a time function that allows fixed times to be set to automatically turn devices on and off or for controlling outside lights. The starter pack is available for 199.90 euros. Individual EASYPlugs can be purchased for 39.90 euros and EASYPlugDim dimmers for 49.90 euros. The tapHOME app is already available in the Apple iTunes Store and will also be available for Android mobile devices during the second quarter of 2013.